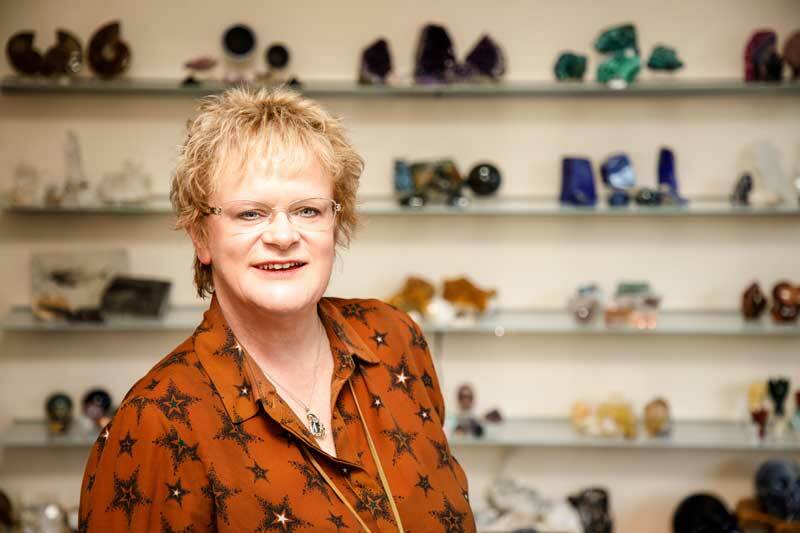 Leaving a 17-year career in the oil service sector to honour a lifetime interest in New Age Therapies and crystals, Julie Davidson (Jules) decided to change careers and start concentrating on her Reiki and Crystal Therapy treatments from her home. This naturally led to selling the crystals she was using in her therapies as well, but with the family growing up fast and an ever-expanding pet menagerie (from her animal rescue involvement), it was clear she couldn’t continue running her growing business from home. She needed a dedicated space where she could combine all her passions under one roof. After looking around, and in a very short space of time, Jules found and opened the shop of her dreams in Ellon, Aberdeenshire, where there has been great interest and support, as well as curiosity from the public. Communicating with people is one of the areas that Jules has always excelled in as she has an innate ability to connect with people from all walks of life. Her other passion is to gently support people to heal themselves through the process of shifting their thought consciousness, which in turn allows them to transform and grow into a place of wholeness and ultimately love.